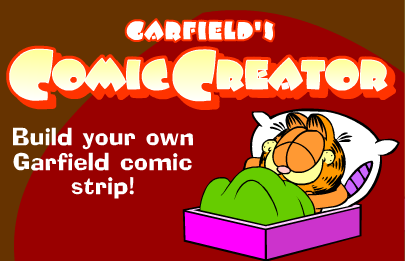 Garfield's Comic Creator is a fun site that I just came across for making an online digital comic. Like most similar comic creator sites a user can add: characters, props, text, etc. While this site doesn't have a ton of options to choose from it is a fun site to use and an easy way to introduce digital storytellers to the younger students. I recommend checking out Garfield's Comic Creator by clicking here. For my top 10 sites for creating digital comics click here.